Leopard seals (Hydrurga leptonyx) are unusual among apex predators in that they feed at both the top and near the bottom of marine food webs; they capture and consume marine amniotes (seals and penguins) as well as krill. This is thought to be achieved with their unusual dentition: rostral caniniform teeth function to grip large prey and tricuspate postcanines function to sieve krill. The use of canine teeth is known, yet until now, the function of the postcanines has never been documented. Here, we present the first direct observations of filter feeding in leopard seals. Suction was used to draw small prey into the mouth followed by expulsion of ingested seawater through the sieve formed by postcanine teeth. Individuals show abrasive wear on canines and incisors, but not postcanines. This suggests that postcanines are not systematically used for piercing prey during macrophagous feeding, confirming that the postcanines primarily serve a sieving function. 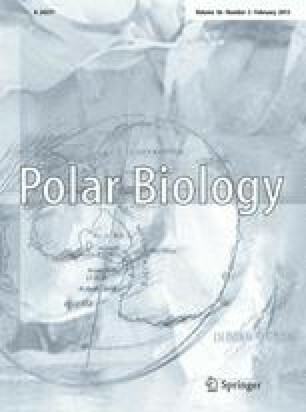 Rather than being less efficient at feeding as a result of its polarized diet, the leopard seal is well adapted towards two disparate feeding modes. The online version of this article (doi: 10.1007/s00300-012-1253-9) contains supplementary material, which is available to authorized users. We thank John Bengtson and one anonymous reviewer for critically reading early versions of this manuscript; Taronga Zoo and their marine mammal keepers for allowing access to animals in their care and for assistance with this research; W. Longmore, R. O’Brien and K. Roberts for access to Museum Victoria collections; Ady D’Ettore for the photograph in Fig. 5a; and Colin McHenry for provision of materials. This study was supported by Monash University, Museum Victoria and Taronga Conservation Society Australia. ARE acknowledges the support of the Australian Research Council. EMGF acknowledges the support of the Harold Mitchell Foundation.